Special video from NFL Films, Inside the Huddle. This is a video of the top 10 coaching rants, including the famous Jim Mora Playoffs?? ?, Herm Edwards “We play to win the game”, and Dennis Green “They are who we thought they were”. Adam Schefter of ESPN is reporting that Indianapolis Colts TE Dallas Clark is out indefinitely, maybe out for the rest of the season. 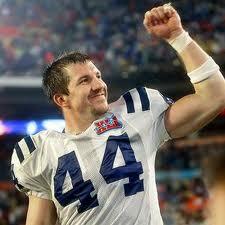 This is bad news for Colts fans because Clark is one of Payton Manning favorite targets. The reason for his absence is due to a wrist or hand injury he suffered Sunday when the Colts played the Washington Redskins. And of course a TE can’t play if his hand or wrist isn’t nearly 100%. Colts head coach Jim Caldwell told reporters that Clark is “being evaluated”. He failed to give any other details. Arizona Cardinals WR Larry Fitzgerald is set to make his return to the lineup week one. He practiced fully for the first time in four weeks. Bill Parcells stepped down as the Dolphins executive vice president of football operations. He will now serve as a consultant to the team. First lady Michelle Obama comes to New Orleans…..to play football. She took part in the NFL’s Play 60 clinic. This is another step of her fight childhood obesity campaign. Link below from NFL.com video of her visit. Cowboys RT Marc Colombo and LG Kyle Kosier missed practice Wednesday nursing knee injuries. They both might miss the season opener. Vikings center John Sullivan is listed as probable for tonight’s game against the Saints. C.J. Spiller will be the Bills starter week one. Redskins Head Coach says DT Albert Haynesworth will be with the team Sunday amid trade speculation. The Houston Texans backfield has been a huge disappoint. Last year Steve Slaton had hugely a disappointing, fumble prone season. So going into the season the Texans coaching staff was looking for someone to take the job. Recently RB Arian Foster has stepped up to the plate during the preseason. Thus, he is the likely starter when the Texans open the season September 12th against the Colts. More Referees on the Field? I don’t know how many people actually care about the amount or positions of the officials on the field, but the NFL does. Recently the NFL officiating department has been experimenting with a number of changes. The newest change is adding an 8th official; due to the new change in the umpire position behind the offensive backfield. The new experimental position is called a “deep judge”. He is positioned in the defensive backfield opposite the back judge. The “deep judge” primary responsibility is to watch for eligible receivers. The NFL has been using the preseason to experiment with this new position. The final experiment game will take place Thursday (Cincinnati Bengals vs. Indianapolis Colts). Before making any decision the competition committee will evaluate video. 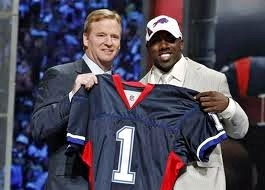 If they are satisfied they will add the position in the 2011 regular season.